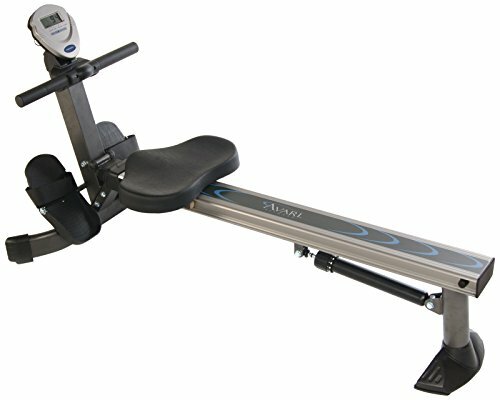 The Avari Easy Glide Rower is designed with an aluminum over-sized seat rail for full range-of-motion rowing. The padded, molded seat and adjustable resistance accommodate all users in comfort even during those longer rowing workouts. When you're not using the Easy Glide Rower, simply lift it on end and store out of the way against the wall or in a closet.